There are exactly 100 days until Autodesk University 2017 in Las Vegas, NV, but only three days until you can register for this year’s conference. That’s right; registration opens on Wednesday, August 9, 2017! 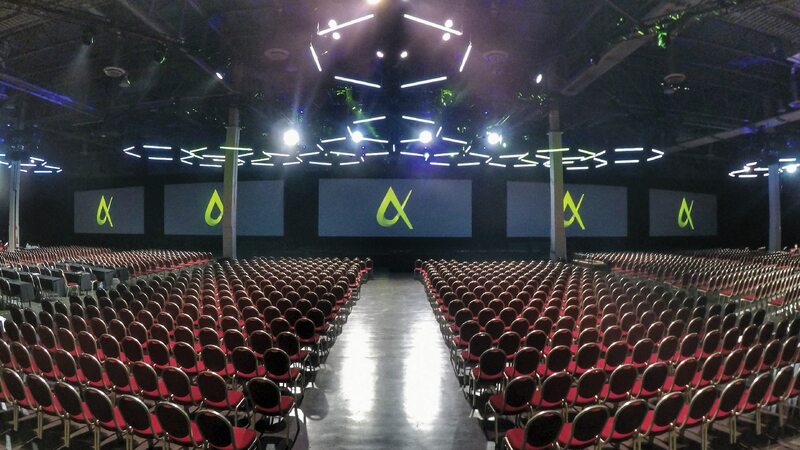 If you’ve never attended Autodesk University in the past, it’s a three-day conference that typically attracts about 10,000 Autodesk software users from all over the world. Although the hallmark of the conference is nearly 700 sessions that will be offered, the conference itself offers so much more. Some of the most innovative ideas I’ve brought back to the office came from the dozens of conversations I’ve had with other Autodesk University attendees during lunch and between classes. Many building site projects live in two worlds; everything inside the building, and everything outside the building. The two worlds only come together after an excessive amount of swearing, and hours of unnecessary time spent. But does it have to be that way? Absolutely not! Coordinating Revit and Civil 3D doesn’t have to require a degree in nuclear physics, and this session will show you how. Co-presented by a Revit and a Civil 3D specialist, you will gain an understanding of the expectations for each platform and how to configure it. With coordinated model locations in place, we will define effective practices for exchanging data between Revit software and AutoCAD Civil 3D software. Leveraging the full potential of each coordinated design model, you will learn how to assemble your project in the context of its surroundings using InfraWorks software, and generate a virtual reality scene. Establish shared coordinates between Revit and AutoCAD Civil 3D. Incorporate Revit model data in AutoCAD Civil 3D and AutoCAD Civil 3D model data in Revit. Are you a glutton for good training? Do you lust over other company’s effective education technology? Bad training programs can leave your employees full of wrath, so don’t be slothful—come check out this session that will outline the issues many companies see when building up or overhauling their own training programs. Your competitors will be green with envy when you show off your skilled employees—just don’t get greedy. This session will focus on overcoming the seven deadly sins of training and put your program on a righteous path. We’ll explore the process of defining education mission statements, align curriculum with student learning styles, and methods to reinforce learning at every corner. You will benefit from the unique experience and knowledge shared by two instructors who have built successful training programs in firms of more than 350 people, designed Autodesk Official Press curriculum, and who continue to build training programs for firms across the nation today. Identify the internal and external factors affecting professional development. Overcome common mistakes that limit the success of corporate training programs. Establish a training mission statement and methods for program reinforcement. Build a training roadmap based on a proven framework. If you have time in your schedule, I would love for you to join my colleagues and me as we present the above sessions. Conference registration is $1,750. If you’re a student or educator, that registration is discounted to $1,175. If you do plan to attend Autodesk University 2017, I do recommend registering as early as possible. Popular classes tend to fill up quickly, so the earlier you register the better the selection of classes that will be available to you. If you’d like to learn more about the conference, Autodesk has a great FAQ page offering answers to many of the most common questions about the conference. Likewise, if you have any questions about making the most of the conference itself, feel free to leave your questions in the comments section, and I’ll do my best to offer experience-based answers for you.